Welcome to Biketyrebuyer.com - a new power behind your Motorcycle tyre supplies. Biketyrebuyer.com has been developed by Micheldever Tyre Services to bring you a comprehensive source for motorcycle tyres fully backed with a new level in service and support. We offer a definitive trade source for motorcycle and scooter tyres from all premium manufacturers, with comprehensive stocks at fully competitive prices. At Micheldever Tyre Services we’ve built a reputation as the best in Tyre Distribution for most things on 4 wheels we’ve also been selling Motorcycle Tyres since 1977. As a Bike Tyre Buyer, it’s a secret that we’d like to share with you. We have thousands of motorcycle tyres in stock providing you with access to the constantly changing range and pattern line-ups. Helping you to generate sales and serve your customers. Speed and performance - two vital ingredients in all aspects of Motorcycles and especially tyres…. Our on-line warehouse serves Motorcycle trade professionals. 7 premium brands, 24 hour access to stock availability, pricing and information across our network of 25 warehouses. You can search, select and order on-line. The right tyres for your job, delivered FREE to you next day; and dependent upon your location, you may be able to enjoy our SAME DAY service at no additional cost. Please ask one of our customer advisers for further information on this unique service. 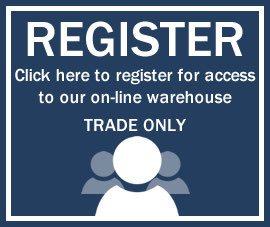 If you are new to our site, why not register for access to our on-line warehouse and take a look at what we can offer. In fact why not make Biketyrebuyer.com your preferred route for tyres?